In the first decades of the 20th century, River Plate occupied various grounds spread over Buenos Aires. Most of these were rather modest, and when the club’s supports grew rapidly in the early 1930s, the board decided to build a new stadium. A plot of land was bought in the Belgrano area, and construction started in 1935. Building took over two years, and due to insufficient budget the construction of the North Stand had to be postponed for many more years. 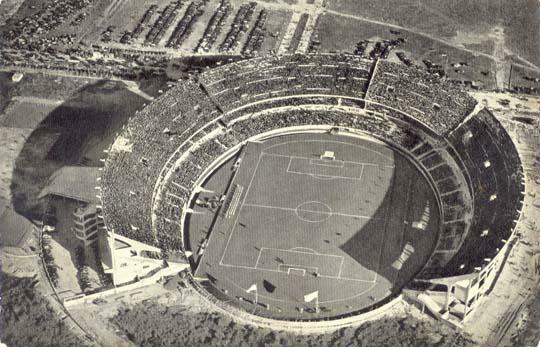 El Monumental officially opened on 26 May 1938 with a friendly match between River and Uruguayan side Peñarol. In 1958, the club finally had the funds to complete the construction of the North Stand. The stadium could hold about 100,000 fans at that time. 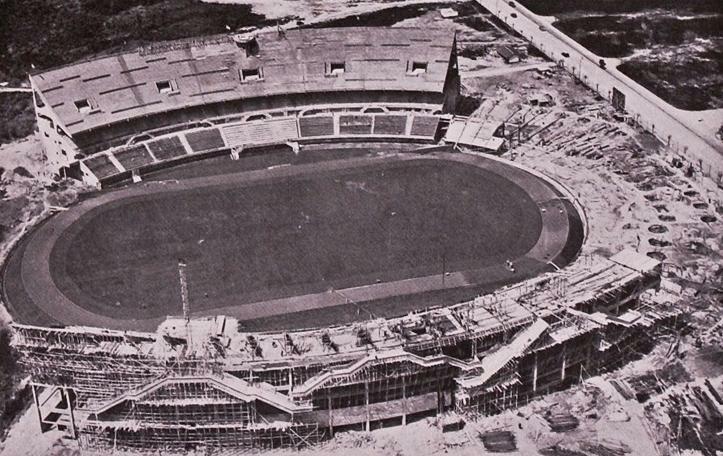 El Monumental underwent further developments in 1977, when a second tier was put on the North Stand. Changes at the lower tiers, however, meant that capacity was reduced to 76,600. 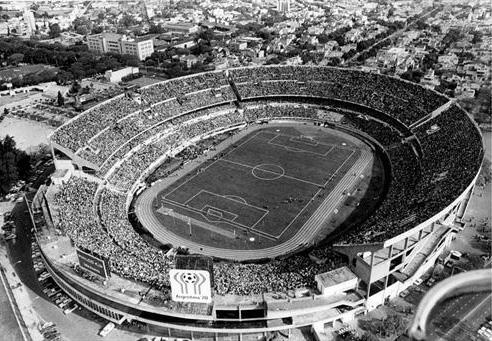 El Monumental was the centrepiece venue of the 1978 World Cup, hosting three matches during the first group phase, another three in the second group phase, the match for third place, and the final between Argentina and Holland (3-1). In 1986, El Monumental got officially renamed Estadio Antonio Vespucio Liberti, in honour after the president who initiated its construction. Few changes have been made to the stadium since. 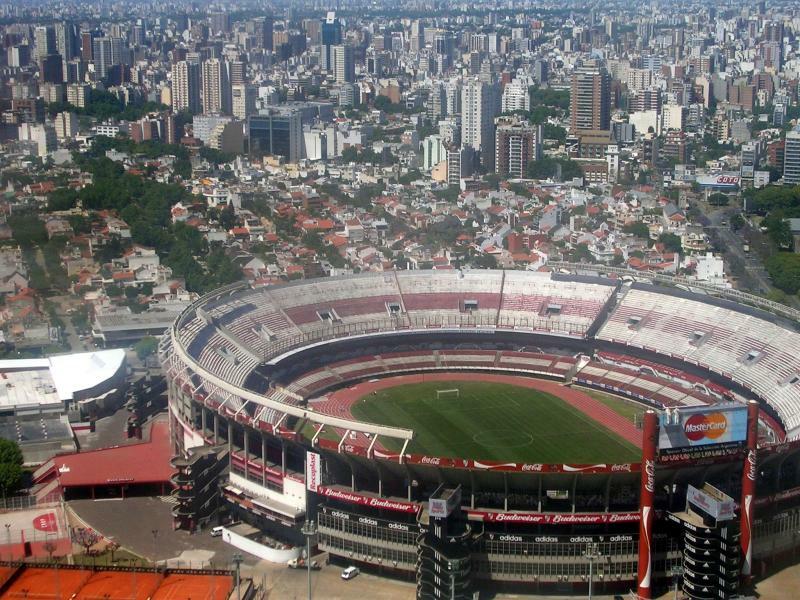 Estadio Monumental is also the stadium where the Argentine national team plays most of their home matches. 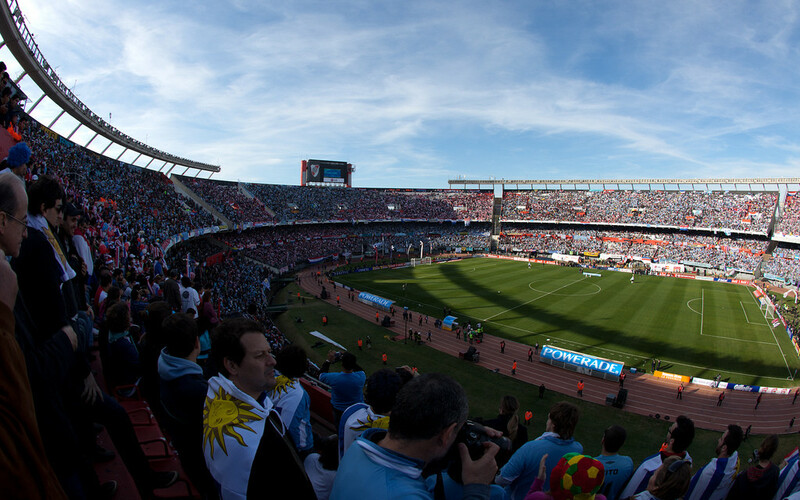 El Monumental is located towards the north of the city of Buenos Aires in the Belgrano area. 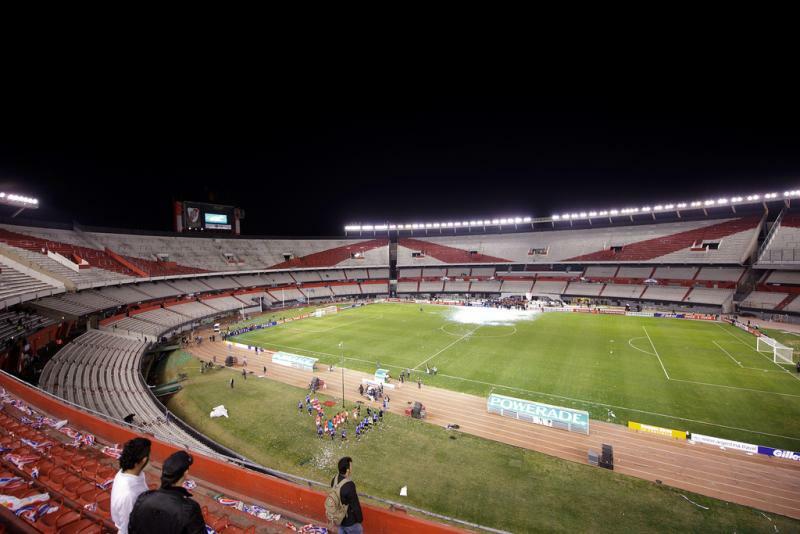 The stadium lies close to the banks of the Rio de la Plata, about 9 kilometres from the city’s business centre (Microcentro), and approximately 5 kilometres from popular nightlife area Palermo. There is no metro station particularly close to El Monumental, however the stadium can be reached in about 20 minutes walking from station Congreso de Tucumán on line D (green). Walk north over the Avenida Congreso. From Retiro bus and train station, the stadium can be reached with local commuter trains (Ferrovias). There is regular service from Retiro to station Scalabrini Ortiz, which is a 5-minute walk away from the stadium. Other train services from Retiro go to the stations Belgrano or Nuñez. The walk from either station takes about 20 minutes. There are also several buses (colectivos) that pass the stadium. Colectivo 29 goes past Plaza de Mayo (Microcentro), Avenida Cordoba, and runs through Palermo on Güemes street. Get off at the crossing of Avenida de Libertador and Quesada. Colectivo 15 runs along Avenida Santa Fé in Palermo. Get off at the same point. Other colectivos that connect with the stadium are line 28, 42, 107, and 130, though none from central places. El Monumental is located in a generally well-off residential area mainly consisting of houses and large apartment blocks. There will be the odd bar and restaurant near the stadium, and quite a few eating and drinking options toward central Belgrano, e.g. on the Avenida Cabildo (where the metro runs). There is a reasonable amount of hotels not far away from El Monumental. River House Bed & Breakfast is only a few blocks from the stadium, while Cristal Palace Hotel, Sarum Hotel Design, and Ker Belgrano Apart & Spa are decent options near the Avenida Cabildo. Click here for all hotels near El Monumental. Alternatively, you can choose to stay in the Palermo area, one of the principal nightlife areas of the city, from where a taxi to the stadium is quite affordable (or you can catch the metro or a bus). 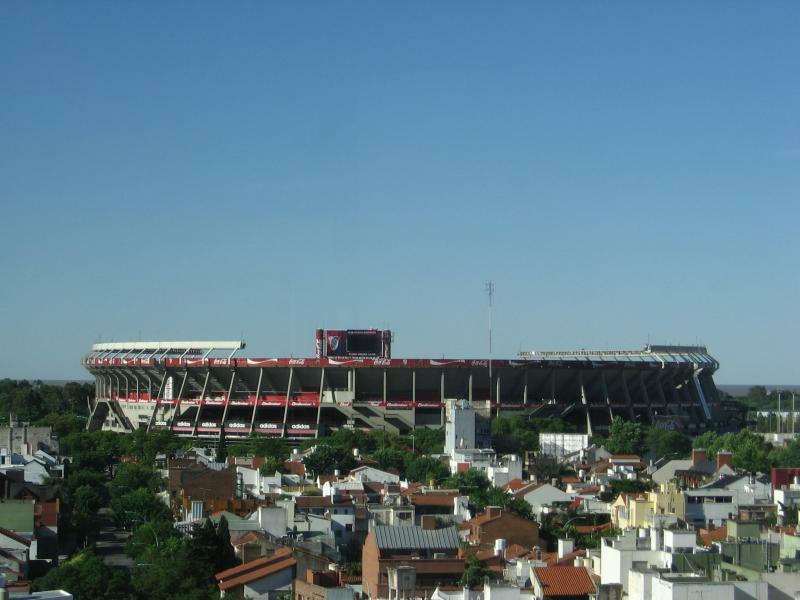 Tickets for River games can generally be bought from one or two days before the match at the ticket windows (boleterias) of Estadio Monumental. However, club members get preference in buying tickets and tickets only go on general sale if tickets remain after the member sales. River does tend to sell out a reasonable number of high-profile games. Ticket prices depend on the match, but range from AR$250.00 for an upper tier seat at one of the curves to AR$ 700.00 for a middle-tier seat at one of the long sides. Email consultastickets@cariverplate.com.ar for more information. 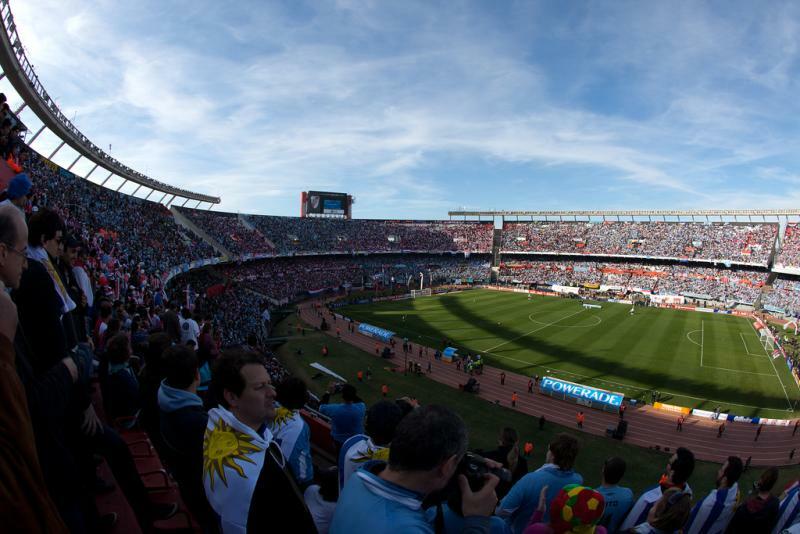 River offer guided stadium tours around El Monumental. The stadium also houses the River museum. Tours run Mondays to Sundays between 11:00 am and 5:00 pm once an hour subject to availability. Bookings aren’t required, but can be made online. The tour + museum cost AR$210.00, the museum only AR$150.00. CARiverplate.com – Official website of Club Atlético River Plate. Bue.gov.ar – Official website of the city of Buenos Aires. Comoviajo.com – Public transport journey planner.